How much is Marvin Hagler Worth? Marvin Hagler net worth: Marvin Hagler is a former American boxer who has a net worth of $45 million. "Marvelous Marvin Hagler" built his net worth as the undisputed middleweight champion boxer. He was born in Newark, NJ and is in the International Boxing Hall of Fame. During one fight, Hagler was so upset that the announcers did not call him marvelous, that he legally changed his name to "Marvelous Marvin Hagler". Born in Newark, New Jersey on May 23, 1954, Hagler is widely known as "Marvellous Marvin Hagler," and was a middleweight boxer with a southpaw stance and a record of 67 fights, 62 total wins, 52 wins by knockout, three losses, two draws, and zero contests. He stood at five feet and nine inches tall with a reach of 75 inches. 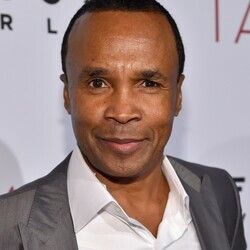 He was known as the Undisputed World Middleweight Champion from 1980 to 1987 and was later inducted into the International Boxing Hall of Fame as well as the World Boxing Hall of Fame. Other titles have included "Fighter of the Year" and "Fighter of the Decade." 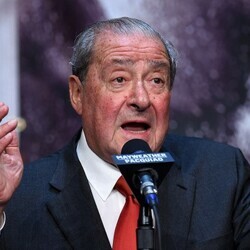 He was listed as the fifth greatest middleweight boxer of all time according to Boxrec. He discovered an interest in boxing at a gym owned by Pat and Goody Petronelli. He ended up winning a fight against Terry Dobb in 1973 and was named the AAU 165 pound champion. 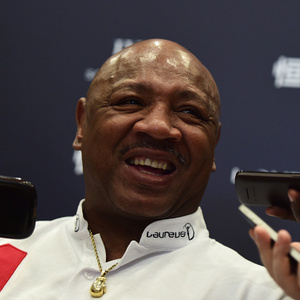 Hagler's training history includes the Petronelli's and a ritualistic routine that involved training in empty Cape Cod motels during the winter. He would run in combat boots and often backwards. Following his retirement, Hagler began acting in action films such as Indio and Indio 2, Brutal Bonanza, Geno's Plan, Lethal Lunch Date, Black Market Wedding, and the video game Fight Night: Round 3. He currently has five children by the names of Charelle, James, Celeste, Gentry, and Marvin, Jr. He currently lives in Milan, Italy and is married to his wife, Kay.